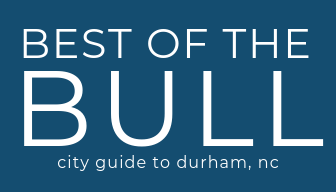 This weekend in Durham check out the Full Frame Festival, local libations series at Unscripted, a tobacco basket workshop, Sam’s Bottle Shop 10th anniversary, and a lot more! Join us for the 22nd Annual Full Frame Documentary Film Festival, April 4–7, 2019 in historic downtown Durham, North Carolina. The Full Frame Documentary Film Festival is an annual international event dedicated to the theatrical exhibition of nonfiction cinema. Each spring, Full Frame welcomes filmmakers and film lovers from around the world to historic downtown Durham, North Carolina, for a four-day, morning-to-midnight array of nearly 100 films, as well as discussions, panels, and Southern hospitality. Unscripted is thrilled to offer this unique opportunity to meet so many of the amazing men and women from the Distilleries and Breweries that make up North Carolina’s thriving beverage industry. This 4-part series will highlight the companies elevating selections in bottle shops and bars all over the great state of North Carolina. Each event will start with our host, Bedlam Vodka, introducing representatives from the participating companies. Then we’ll meet and mingle with our local producers and fellow enthusiasts while sampling each of the four offerings. You won’t want to miss this tasty event. Heavenly Buffaloes and Sam’s Bottle Shop have teamed up to bring you a wing and beer pairing on Thursday, April 4th. We raise awareness and educate the community about our pollinators one hive at a time! Come out and learn how you can help us protect and grow honeybee populations right here in Durham! Our “Host-A-Hive” program offers a way for YOU to make a positive impact on the local honeybee population. By hosting a hive, you support our work in bringing the magic of beekeeping right to your very backyard! Join the good people of Fleet Feet at Ponysaurus for our two favorite things….Running and Beer! Every Thursday join a 3-mile route or 5-mile route. Expect a good time and treat yourself to a pint at the end of every run for a job well done! Arrive at Ponysaurus at 6:15pm to check-in. Announcements and run at 6:30pm. The run is free and all levels/speeds are welcome! I look forward to welcoming Andrew Rich to LouElla next week after working with him in years past as a distributor. Such a gentleman and soft spoken genius to be in the company of. His wines are beautiful and perfect expression of terroir and the tenured experience Andrew has from his time on the Left Coast. This night we will be serving a light dinner fare to pair with Andrew’s wines. Space is limited to 30 people and is $40 per person which includes wine samples, dinner and discounts on all LIMITED wines available. Jeddah’s Tea is affectionately named after Wael’s maternal grandmother who sold her own tea blend at her shop in Hargeisa, Somaliland. It was her legacy that Morgan and Wael hope to honor by offering multicultural teas and experiences. The PopUp will showcase loose-leaf teas, iced teas and tea ‘mocktails’, and also offer locally sourced pastries and coffee. The first 50 Durham County residents who come to the Animal Services Offices on April 5th, from 11am – 1:30pm can receive a free microchip for their pet implanted by Quail Roost Veterinary Services. Friday night open mic stand-up comedy is back in 2019! Come out to the brewery from 8-9:30 pm each week to enjoy a free show put on by Rob Schneider Comedy – Not That One and some of our area’s own rising comedian talent. Full Frame Free Screening: RBG Food and drinks will be available for purchase at Parts & Labor (Motorco). Whether inspired by or opposed to her interpretation of the law, public fascination with U.S. Supreme Court Justice Ruth Bader Ginsburg has made the “Notorious RBG” a household name. This screening is FREE (no ticket required) and open to the public. Don’t be tardy for the #FullFrame party! Join us April 5 from 9 pm – 11 pm at Unscripted Durham for the Alamo Drafthouse Late Night Bash. The first 150 people get a FREE drink! This event is FREE and open to the public. No ticket required. Come out to enjoy a beautiful Saturday on the farm and meet others in our community! We’ll be doing tasks to help maintain the farm so it stays beautiful and functional for our educational programming. We’ll have water, gloves and tools; just bring a refillable water bottle, snacks, comfortable clothes that can get dirty, closed-toe shoes, and be ready to work! Join us for our Spring Babies & Kids Yard Sale + Open House! Shop babies and kids clothes, toys, and essentials, and tour our coworking space + Montessori preschool. Past sales have included: Clothing Strollers Cloth diapers Blankets Toys Bassinets Books Games Maternity clothing Breast feeding accessories Baby carriers Etc. Bring the whole family to explore the garden every first Saturday from February to June. Discover new places in the Gardens as you learn about the many things that live here, with a different seasonal theme each month. April’s theme is pollinators. Walks will end inside the gardens to allow your family to continue exploring on your own. Please meet at the Gothic Gates. Free drop-in activity, pre-registration suggested. This popular event is back!! Love the look of vintage tobacco baskets? Make your own chic version in this workshop with artist and maker Nancy Duffie. Fee includes instruction and all materials. The first time we did this event, it sold out within minutes, so be sure to get your tickets early! You will leave this workshop with a completed 14″x 14″ tobacco basket! Discover all that Ninth Street has to offer with a street-wide sidewalk sale! Participating businesses will have amazing specials and sales, so it’s the perfect time to grab a friend and make a day of shopping local. Ninth Street is convenient to both Duke campuses and has lots of cozy cafes and restaurants where you can grab a drink or bite to eat between shops. Participating businesses will have a Sidewalk Sale flyer on their door. Lets welcome in spring with SOME ROSE’ and the Rose’ Master Johnny Rosato! Look forward to having this guy back behind the tasting bar for the first time to show you all what we like to drink ALL YEAR LONG Johnny Rosato style!! WE’VE MOVED DURHAM LADY BITS TO THE FIRST SATURDAYS!! SIGN UPS WILL WORK THE SAME WAY – MESSAGE BRITT ON MONDAY THE WEEK OF! we will save a few spots for walk-ins from 6:00 to 6:30, but otherwise it will be best to sign up in advance! Lady Identifying persons should bring a 5 minute set and be ready to show up and go up – bring a crew to laugh with you – it’s gonna be a lot of fun! They’re playing basketball… again! Come watch the Final Four on our big screen and grab a pitcher or two. We’ll have plenty of beer, food, and seating for all of your sports-watching needs. Full Frame Free Outdoor Screening: Won’t You Be My Neighbor? Full Frame Free Outdoor Screening: Won’t You Be My Neighbor? Food Truck Roundup starts at 5:30 pm. Merge Records will provide the preshow music mix. Music: 5:30 pm – 8:30 pm. Food trucks: 5:30 pm – 8:30 pm. Film: 8:30 pm – 10:10 pm. Food trucks that will be in attendance: Bulkogi Korean BBQ, So Good Pupusas, Belgian Waffle Crafters, and Bruster’s Real Ice Cream – Durham. This screening is FREE (no ticket required) and open to the public. The grr-ific musical for little tigers and grown-ups alike is back! The hugely popular Daniel Tiger’s Neighborhood LIVE!, based on the #1 PBS KIDS TV series, has delighted live audiences on stages across the country. Now, in its fourth year of touring, your favorite characters are hopping back on board Trolley and coming to DPAC for Two Shows on April 6 with DANIEL TIGER’S NEIGHBORHOOD LIVE: KING FOR A DAY! How do you BBQ? Rain or shine, we want to see your skills at the brewery on Saturday, April 6th. Our panel of judges, made up of some of your favorite local BBQ chefs and our head brewer, will choose who takes home the title of The Durty Bull BBQ Master and the grand prize that goes along with it. The Attendees Choice Winner, voted on by those who come out to sample, will also receive some awesome swag and Durty dollars for later use. Come learn everything you need to get started working from field to vase! At Pine State Flowers, we believe beautiful floral design is a distillation of the seasons and natural landscape. In this workshop, we will talk about the fundamentals of floral design, as well as how to incorporate seasonal elements and locally grown flowers into your work. Welcome all explorers! Join the Museum of Life and Science and UNC TEACCH as we celebrate sensory friendly science for all! From 10am to 5pm, Museum exhibits and experiences will cater to families with children and adults with autism spectrum disorder (ASD). Enjoy all indoor and outdoor exhibits in a relaxed, lights up, sounds down atmosphere. Come join us for a farm tour the first and third Sunday of each month from March to November from 1-2:30pm (Register through link provided) We will no longer be open to the public for drop ins. As we continue to grow we want to create meaningful relationships and opportunities with all visitors to our farm. We thought farm tours would be a great way for individuals, families, and persons of all ages to come and enjoy our friendly animals, spend some quality time outdoors, and meet farmers who care about the environment and our community. We hope you will leave a little lighter of heart and with a huge smile on your face each time you come to visit!!! The first of our new Sunday Potluck & Pop-up series will be focused on brunch. Bring your favorite brunch dish big enough to feed at least 4-6 people. We’ll supply the plates, napkins & utensils. We’ll also have ChaseandChauncey doing a pop-up shop selling their adorable accessories for pups. Full Frame Closing Night Film: Amazing Grace Movie On the heels of three albums yielding hit singles, the legendary singer Aretha Franklin turns to her spiritual upbringing, electing to create her next compilation with gospel music. Resurrected footage from 1972 captures Franklin’s electrifying performance with Reverend James Cleveland and the Southern California Community Choir for the live, hair-raising recording of the late singer’s Amazing Grace, one of the best-selling gospel records of all time. This film screening is FREE but a ticket is required. FREE tickets will be available March 28 at 11 am at store.fullframefest.org. Next articleWelcome to Durham, NC- Happy 150th Birthday!